How Long Does Chemotherapy Stay in Your Body? A variety of factors can influence how long it takes for chemotherapy to leave your body, including the type of chemo you receive. 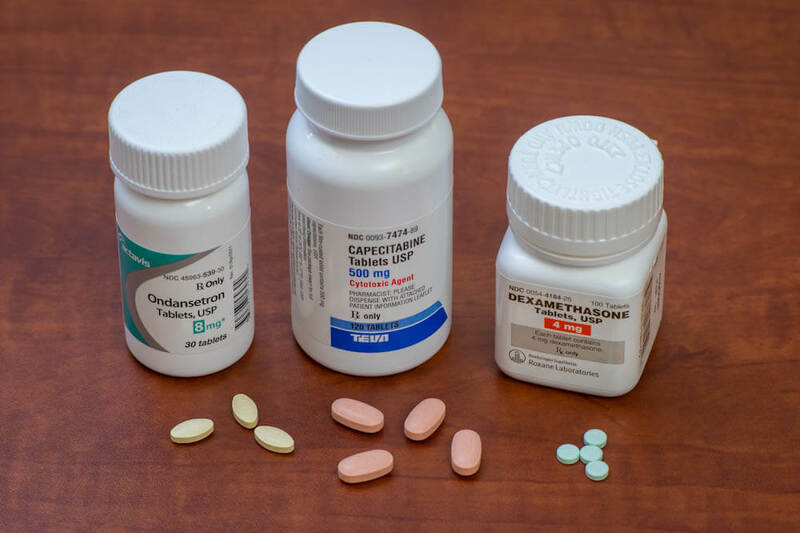 Pictured above: oral chemotherapy pills. Chemotherapy agents are powerful drugs used to treat cancer throughout the body. Chemotherapy drugs work by a variety of different mechanisms. Their general effect is to slow or stop the growth of cancer cells, which divide and proliferate quickly. Because some types of healthy cells – such as those that line the mouth and intestines, or cause hair to grow – also divide quickly, chemotherapy can have a temporarily harmful effect on them as well, producing side effects such as nausea and hair loss. The benefits of chemotherapy can be long-lasting. This is crucial in fighting cancer, but it raises the question of how long these drugs stay in the bloodstream. In fact, most chemotherapy drugs remain in the body for only a few hours or days. They’re broken down by the kidneys and liver and excreted in the urine, stool, or sweat. Is Chemo Working if I Don’t Lose My Hair? A variety of factors can influence how long it takes for the drugs to leave your body. These can include the type of chemotherapy you’ve received, the presence of other medicines in your system, your age, and how well your liver and kidneys are working. Damage to an organ can slow down the process of drug removal. Remember that even though chemotherapy is rapidly metabolized and eliminated from the body, the effects – and side effects – of the drugs can last a long time, depending on the type of chemotherapy involved. Your doctor can give you a range of how long any side effects are likely to last. For mri/petscan which is a really long time to hear the word “remssion”. He just finished treatment. Not sure if i would go through all of that again, knowing what i know now. 58 years old. 12 weeks of Taxol & Herceptin followed by 4 weeks of radiation, followed by additional 9 months of Targeted Chemo Drug Herceptin, once every 3 weeks followed by 5 years of Hormone Therapy Anastrozole (Arimidex) once daily. Finished the 12 weeks of combined drug chemotherapy. Finished the 4 weeks of radiation. 10 more months of Herceptin yet to go. Hormone Therapy will begin in a few weeks. All for breast cancer, Stage 1, HER2 Positive, a gene in the breast that has mutated and causes cancer cells to grow more aggresively. Now facing the possibility it has metatasized in my brain, got a brain MRI scheduled. Been there, done that. Won’t ever forget ALL of the side effects I experienced but moving on with my life, as such. Even though it is far less in quality and quantity. But I am alive. I AM ALIVE.